There is, perhaps, no other non-league club that sums up the cycle of perpetual crisis in which so many smaller football clubs find themselves than Northwich Victoria, and there can seldom be a day that goes by during which supporters of the seemingly perpetually beleagured Northern Premier League club don’t curse the decision to leave their historic home, The Drill Field, for The Victoria Stadium. If such a thing exists, though, the curse of The Victoria Stadium has now struck again with the news that Northwich have had to call off their match this evening in the Northern Premier League against Kendal Town and that the club has now been charged by the league with failing to fulfil a fixture, a sanction which we can expect will bring a points deduction and a financial penalty of some description. Northwich have spent two periods in administration during the last seven years. 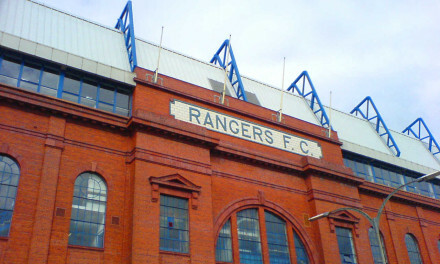 The first, in 2004, saw them deducted ten points whilst playing in the Blue Square Premier and, while the team managed to haul itself just above the relegation places, it was subsequently relegated after FA deadlines over the transfer of their Conference membership to the club’s new owners were not met. The club managed to get back into the BSP but it was put up for sale in 2007 and was purchased by a consortium led by Jim Rushe. The Victoria Stadium, however, remained under the ownership of the club’s previous owner, Mike Connett – who had, somewhat unsettlingly, frequently referred to the ground as his “pension fund” – and his company Beaconet Ltd. In 2009, the club was forced to temporarily leave The Victoria Stadium and play its home matches at Altrincham’s Moss Lane, after Connett removed safety equipment from the stadium following Beaconet falling into receivership. The club’s latest difficulties concern its protracted efforts to take ownership of The Victoria Stadium. The Northern Premier League had (according to its own press statement, which was released this morning), requested “documentation relating to the club’s security of tenure at the Victoria Stadium” on two seperate occasions, at the end of July and for the start of this week but, when this was not forthcoming, were left with little option but to issue charges against the club and force the cancellation of this evening’s match. The club currently has a lease in place with the liquidators of the Beaconet business, but what the exact terms of the lease are is far from certain. It seems that the league had been pressing to see paperwork in accordance with its own rules on this and have, having not had this paperwork produced after several deadlines were set, taken the decision to force the arm of Jim Rushe. More confusing still was the presence of bailiffs at The Victoria Stadium last Friday, which several Northwich supporters reported as they attempted to collect season tickets for the start of the new season. The representatives may have been there on behalf of Connett to oversee the valuation of the ground, though what right he has to do this – specifically, at least, to have any influence over it – is not clear, but that this should be the situation at the club only adds to the sense that, yet again, something is wrong at Northwich Victoria FC. Against such a background of financial mayhem in recent years, it is hardly surprising that the club’s support gets tetchy at anything out of the ordinary happening at their club. This, followed by the abandonment of the club’s fixture this evening has only served to further accentuate the fact that the problems that the club had several years ago have still not been satisfactorily resolved. In this case, though, it is difficult not to have sympathy with the Northern Premier League, which has been put in a difficult position by a club with a history of frequently finding itself in difficult positions itself. The league rules over security of tenure over facilities are there for a good reason, which should be self-explanatory. Ultimately, its responsibility is to all of the clubs of the league, and many – if not most – of the clubs in the Northern Premier League have a tough enough time with travel expenses without turning for matches only to find the gates locked and a “No Entry” sign up. Considering the clubs recent history, it is understandable that they should have chosen to have taken such a hard-line attitude over this latest set-back for The Vics. None of this, of course, will provide much comfort to the put-upon supporters of Northwich Victoria, and it is to be hoped that the club can find a speedy resolution to the issues that have clouded the start of their season yet again. What is perhaps the most troubling about this particular situation is that it involves the name of a club that seems to have come up again and again in recent years in relation to some sort of off-the-field issue. It could well be argued that this is the reason why the Northern Premier League has reacted in the way that it has to the issues surrounding the position concerning The Victoria Stadium. The club should act quickly and honestly notify its supporters if what has been happening over the last week or so at The Victoria Stadium. After all, even after everything that has happened both there and at The Drill Field in recent years, they are still there and they surely deserve that much, at least. The Premier League 2010/11 Previews 3 – Birmingham City: Second Season Blues? Grim for Northwich. I was a Runcorn fan for many years and enjoyed many a great afternoon at the Drill Field. I think overall this articale highluights the sad route football has gone down. before money was the bee all and end all i remember a time when Northwich, Runcorn and Altrincham were the cornerstone of non league football in the northwest and highly competitive. Where are they all now? An excellent article showing just what a shambles Northwich have become. Rushe has never given the impression he has the foggiest idea what he’s doing. As an Altrincham fan I’m extremely thankful that despite recent on-field problems, we’re safe as houses on the financial front and those on the board run the club sensibly. Once the grounds of non-league clubs are separated, in ownership terms, cracks start to appear. …and goes to show how bad decisions, whether made with good, malicious or self-interested intentions, can follow a club for years afterwards, even if the club changes hands in that time – and how one or two mis-guided or malicious people can ruin a club for it’s players, fans and communities, again for years to come. I have been a fan of northwich victoria for over 30 years and nothing surprises me any more we go from massive highs to massive lows but I will allways follow them my blood is green. Sad to hear of yet more turmoil at Vics. Had an excellent trip to the Drill Field with Orient in the Cup a few years back and it seemed like an excellently run club back then.